WESTBROOK, ME -- Wessie P. Thon might actually be Wessie A. Conda. A Texas scientist who ran tests on a large snake skin found in the Maine city of Westbrook says Tuesday the tests came back as "100 percent from anaconda." 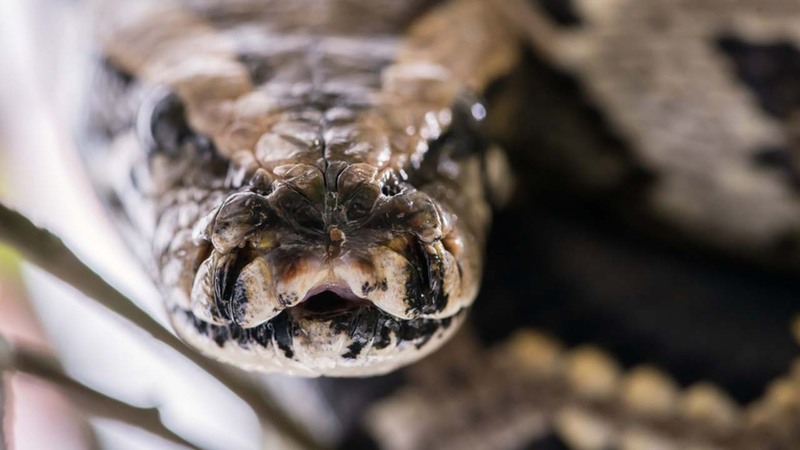 A big snake caused a stir in Maine when it was seen this summer eating a beaver along a riverbank. The discovery of a 10-foot snakeskin this month indicates it's still lurking locally. Locals dubbed it Wessie. That spawned a parody Twitter account called Wessie P. Thon. University of Texas at Tyler biologist John Placyk performed the skin test. He says Wessie's behavior corresponds with that of an anaconda. He's says it's possibly an escaped pet. The Wessie Twitter account tweeted Tuesday that the news was causing "a mid-life crisis" for the reptile.